How dirty is dirty? i.e. how much accumulation can go by unnoticed or affect the quality of playback. Is there a significant difference between RCMs? Does an RCM really clean significantly better than other methods? So, let's try to address the first and toughest question. There probably are several ways to attempt this. The obvious and preferred would be to do some sort of a listening comparison, but that didn't prove to be so simple. There is no reasonable or reliable way I could think of to accomplish this. It is not practical to listen to a dirty side, clean, listen again and make a valid comparison. The amount of time that cycle would take is longer than the retention threshold for Echoic Memory; i.e. by the time you clean the record your brain does not really remember the details of the sound. Had I the requisite gear, I could have tried making hi-rez digital copies of dirty and cleaned copies and compared them, but alas that method was beyond my means. I also tried to observe the groove of a suspected dirty record under a magnifying glass and a microscope with 40x, 100x and 400x; but after several trials I did not find these tools practically useful to determine if the grooves had any significant impediments or had been successfully cleaned. Anecdotally, I can speak with a clean conscience and say it has not taken much experience or imagination to find out that clean records are better sounding records, especially when you buy used records that have not been kept in pristine condition. It does not take very many clicks or pops to put a damper on a listening session. But my opinion or subjective experience alone is not reliable enough, however honestly conveyed (...what a nutjob, the guy's own firsthand experiences are not good enough for him). But for those of you who won't stop convulsing unless I do some sort of listening test, I can report subjectively and outside the parameters of echoic memory that cleaned records did sound better than when they were even slightly visibly dirty. The final approach, is by means of deductive inference. Let's follow and add up a few factoids and casual observations and see where we end up. If you have ever played a slightly dirty record and hear a click or pop, and then inspect the guilty grooves to find the miscreants - you quickly realize it does not take very much to undo a stylus' trajectory. Consider this, the groove of a record is about 1 mil wide - that is "mil" as in one thousandth of an inch - not a millimeter! In metric terms that is about 25 micrometers or 0.025 millimeters. By contrast a human hair varies from 18 to 80 micrometers. So a foreign object the width of a human hair lodged in the stylus' path would wreak havoc (sonically speaking). I'd imagine that even a speck of dirt or an errant fiber from a paper sleeve that may be as small as a quarter the width of the groove could be audible. And even smaller particles that may not in and of themselves pose a hazard, but when accumulated they may prevent the stylus tip from reading all the pits and peaks. Imagine the troughs of the grooves filled with accumulated sediment that each may only be a micron wide, that could prevent the tip from riding the walls without miss. So it isn't terribly difficult to infer that it doesn't take much to impede a stylus, and we better keep our grooves clean. The 3 units had a couple of things in common, they each had a vacuum for slurping up the liquid and a motor to rotate the LP. But also key to note is the significant differences between them. The Nitty Gritty is probably the most basic unit of the lot. The operation manual suggests to first generously apply cleaning fluid onto the felt lips of vacuum slot. Then mount the LP on the spindle and insert the outer edge of the disc under the lip of the capstan drive [Oh dear, that all sounds a bit naughty!]. Turn the motor switch towards the back of the unit and the disc spins without the vacuum on, this allegedly applies fluid to the underside of the disc and scrubs it, I am somewhat skeptical of how well the latter is done. After the suggested 2-3 wet spins, flip the switch towards the front of the unit and the vacuum turns on - 3 to 5 turns later you should have a much cleaner disc than what you started with. The clever folks at Nitty Gritty do provide a miniature wire "bottle brush" that you would use to clean the felt pads on the vacuum slot every so often. Having been raised by parents that believed and repeatedly proved that elbow grease can overcome much, I was disappointed to see this unit does not provide a facility for the user to scrub the topside of the LP with a brush while the disc spins. Since there is no support below most of the disc, any attempt to manually scrub will cause the disc to flex. If you can manage to keep your brush exactly between the spindle and the capstan you can do a gentle scrub, but forget about applying any serious amount of pressure. Then again, on the other hand, never having to rest your LP on a platter prevents possible contamination of the clean side of a disc with residual grunge. The VPI looks more like a record player. 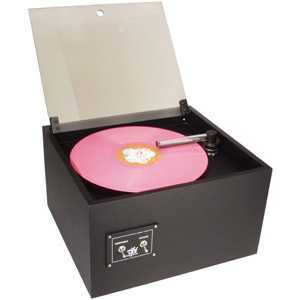 It has a platter with a cork mat, on which you would place your LP. Secure the disc with the screw-on clamp and turn on the motor, apply fluid of choice and scrub with brush - you can apply a fair amount of pressure to get a good scrub in, or at least satisfy your disciplined upbringing. Then swing the vacuum tube to point towards the spindle and turn the vacuum on for about 2-4 turns. Turn the vacuum off, swing arm back out, open clamp and do the other side. That is all, folks. The Clearaudio performs very much like the VPI, but adds a very clever motor switch that allows you to change direction while you clean or vacuum in one direction and then in another - for a presumably better clean. The Clearaudio also comes closest to looking the part of pretty gear, with it's faux brushed metal look. This would make it the most aesthetically acceptable of the 3 units; the term "lipstick on a pig" comes to mind, even if it does not completely apply. And now to answer the second question above, are there significant differences in the cleaning ability of the 3 machines. Again the issues I experienced earlier with Echoic Memory and inspecting with a microscope or magnifying glass prevail. I did, however, discover that when working with moderately to very dirty records, visually inspecting the platter against a bright light revealed changes in cleanliness quite easily. So this became the method I used, and I conducted all tests with particularly dirty used records. 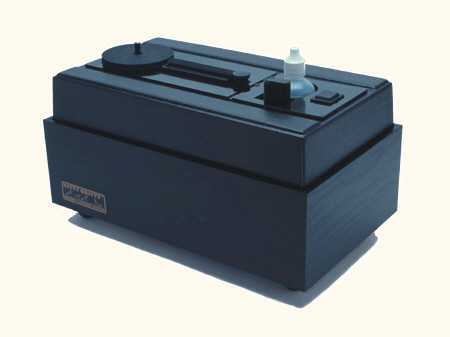 Each side was cleaned using a different machine, method or fluid - and each test was conducted several times before arriving at a conclusion. Starting off, I compared the Nitty Gritty to the VPI. The VPI was significantly better on all the tests. I also discovered that in order to clean a thicker record on the Nitty Gritty, you have to pry off two plugs on the top face in order to turn the leveling screws that raise the capstan to accommodate a thicker disc. Are you kidding me!!? Not exactly convenient to use, is it? I also compared just the vacuum units of the two machines, by scrubbing on the VPI first and then vacuuming under either the VPI or the Nitty Gritty. In this test the Nitty Gritty was actually the better performing of the two, I'd guess the Nitty Gritty's vacuum applied on the lower plate provides a better coupling than the VPI's arm on the top plate. This finding then leads me to conclude that the VPI is the better overall cleaner because scrubbing must be a more important component than vacuuming. Next up, I compared the Nitty Gritty to the ClearAudio. The Clearaudio was obviously better than the Nitty Gritty on every test. And finally, I compared the Clearaudio to the VPI, and the Clearaudio came out between even to significantly cleaner on the several tests I did - generally, the dirtier the record to begin with, the easier to spot differences. I then also compared just the vacuuming power of both machines, by scrubbing on just the VPI. And surprisingly, it was the VPI that seemed to have the better vacuum and produce generally dryer records. The overall better results of the ClearAudio again establishes that scrubbing is a more important component than vacuuming, and I suspect it is the two way rotation on the ClearAudio that must provide the better scrub. I then attempted to answer the final question - are other methods better than using an RCM? In the past I had tried 4 other methods; blasting gunk with a steam cleaner, wiping a spinning disc with rubbing alcohol on a micro-fiber cloth and scrubbing using dish soap and water (here comes the nasty emails protesting the heresy). Well, sometimes the only way to find out is to try. Of these methods, the best results seemed to be scrubbing with by dish soap and then rinsing in warm water and then rubbing alcohol, but comparing this to the Clearaudio came out clearly in favour of the RCM. This is tough to answer by direct experience, but it doesn't take much to realize that it takes very little to clog up a groove. And subjectively also, a cleaner record sounds better than even a slightly visibly dirty one. Yes. The Clearaudio was obviously the best of the lot, and singularly because it enabled the best scrub (my parents were right again!). Yes. At least of the 4 other methods I mentioned above. 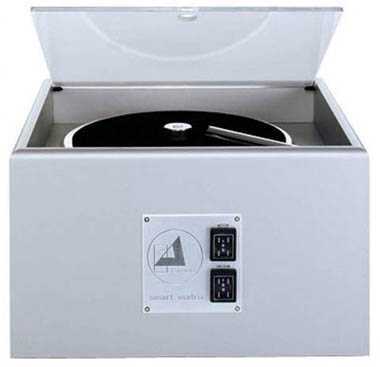 If you really want to get the most of your vinyl experience, use a good RCM. I found the Clearaudio to be the best of the ones I tested, and I bought the review sample. I think that is the best endorsement I can give.